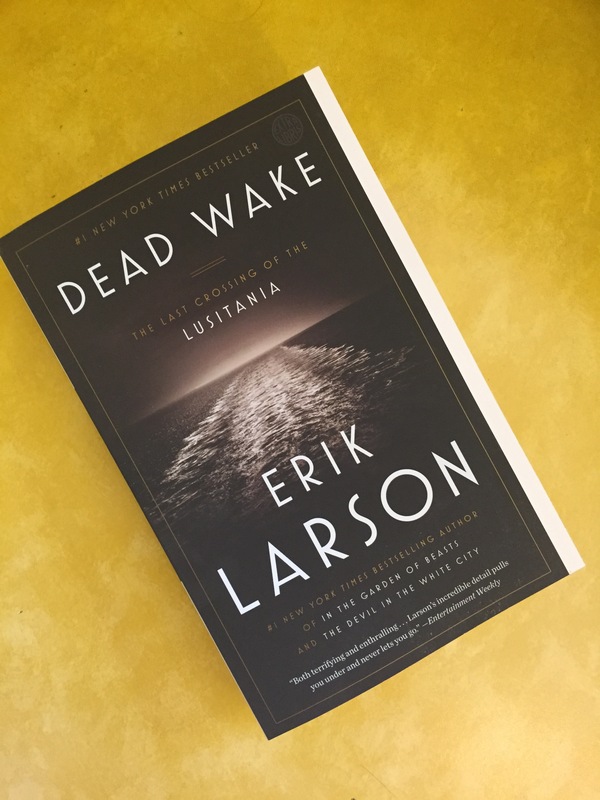 In Dead Wake, Larson walks readers through the events and some of the passengers stories before, and their time aboard the Lusitania on her last voyage from New York to Liverpool. I am not a HUGE fan of military history, I can honestly draw the line there but the war time events that led to the ultimate sinking of this ship, are amazing. Fascinating even. What is most upsetting about this book, minus the graphic details of life inside a U boat (i’m a claustrophobic and it gave me the chills) is what priceless things we lost when this ship sank. Priceless works of art; paintings, books, illustrations as well as the numerous children and families aboard this vessel. It’s haunting how ruthless U boat captains could be and to sink this boat, this passenger vessel is sad and yet I see a distinct parallel with current events. If you are a history buff, that enjoys a great well constructed narrative you will enjoy learning more about the socio-political events and tactics that led to the US entering the great war.